Wedding | What's New at Rainnea Ltd. 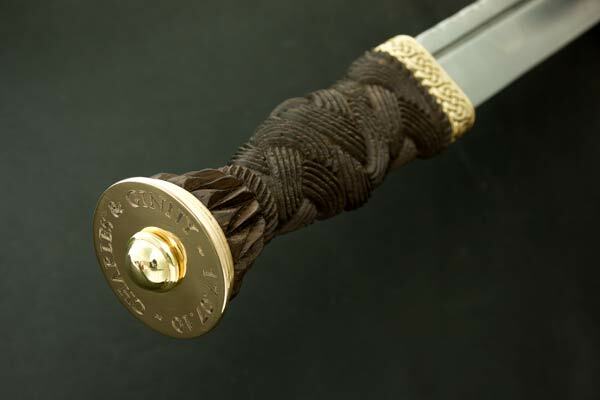 I made this special Sgian Dubh for a cooper I met at Feis Ile, the annual Whisky / Music Festival on the islands of Islay and Jura on the Scottish West Coast. We crafted this bespoke pair of wedding rings specially for Justine and Stephen, working with them to develop their design from Justine’s own hand drawn Celtic knot artwork. The rings are made from a solid bar of Aerospace grade Titanium and each ring was given it’s own look, with Stephen’s ring having a matte finish and Justine’s ring being more highly polished. “Thank you so much Rab and Tanya for bringing our dream wedding rings to life! You took our design and made works of art from it that we will treasure forever! We have loved the whole process, especially getting to meet you and discuss our rings and see examples of your work. Getting our rings made by you is a decision we will never regret, we’re so glad we went for it as they are going to bring us joy every day for the rest of our lives. We’re just back (and slowly recovering) from a fantastic wedding on the Isle of Lewis. 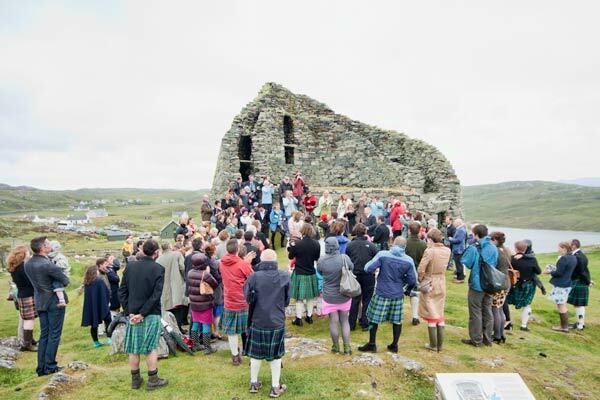 Charles and Ginny’s ceremony took place at Carloway Broch. 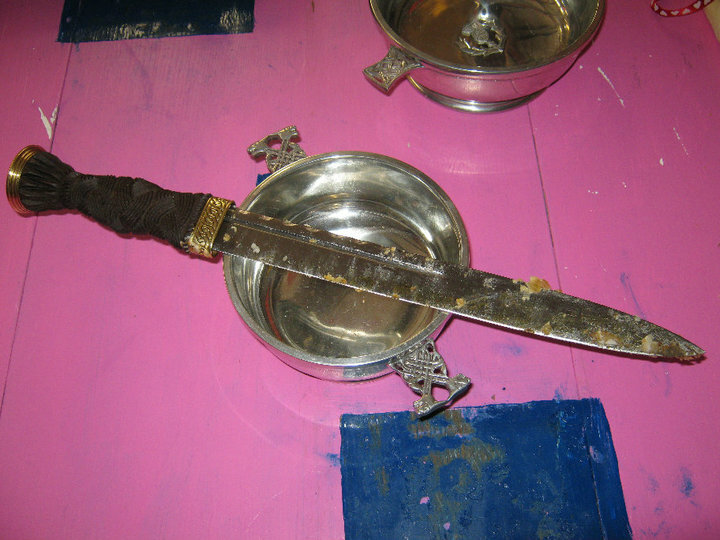 I made them a special wedding cake dirk with their names engraved on the pommel.